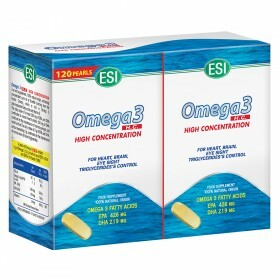 Omega 3 heart and triglyceride supplements - ESI S.p.A.
Omega 3, especially EPA and DHA, are very important for our body: in fact, they are involved in many metabolic processes, and if we take the right amounts, it can be very beneficial for our bodies. Fish oil is the main natural source of EPA and DHA. ESI has selected the purest oil, which comes from blue fish (which comes from the Pacific Ocean in the unpolluted waters of South America), which has been thoroughly validated using modern analytical methods, thus creating 2 products. A daily intake of 2 g of EPA and DHA helps maintain normal triglyceride levels in the blood. 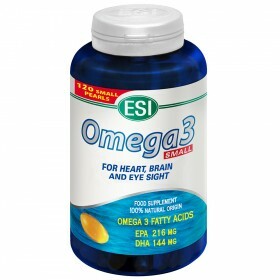 A daily intake of 250 mg of EPA and DHA helps maintain healthy cardiac function. A daily intake of 250 mg of DHA helps the brain function normally and helps maintain good eyesight.